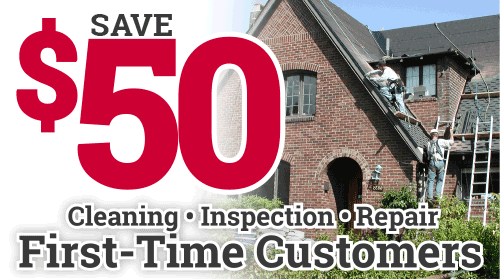 Guardian is proud to be your trusted Seattle roofing company, and that means offering services beyond installation, including roof cleaning. We provide the necessary services to keep your roof in the best shape possible, including moss proofing and removal, fungus removal and more. As an essential part of your roof maintenance, regular roof inspections and cleaning ensure that your roof not only looks its best but performs its best also – preventing possible damages and emergencies. The Pacific Northwest brings us plenty of moisture, and as homeowners that means we need to be more prepared when it comes to protecting our roofs from the harsh and wet conditions. From years of working on roofs around the Seattle area, we know that many roof “cleaners” utilize toxic chemicals that may eliminate moss or fungus in the short term, but are corrosive and harmful to your roof over time (not to mention the environment). At Guardian, our cleaning and maintenance services are thorough and utilize only the best products, which are bio-degradable and won’t damage your roof or home. Make sure you are aware of your roof’s condition so that moss, algae or fungus growing do not compromise the effectiveness and lifespan of your roof. If not controlled, this moisture and growth can result in roof leaks, and the overall weakening of your roof system – and that is why we recommend a roof maintenance check every Winter to assure you are protected from these potentially hazardous issues. Whether you are in Bellevue, Bothell, Sammamish, Redmond or Kirkland, expect the best advice and highest quality roof service when it comes to moss proofing, moss removal, and roof cleaning. Call us today at 206-202-4155206-202-4155 or Click here to speak with an expert.